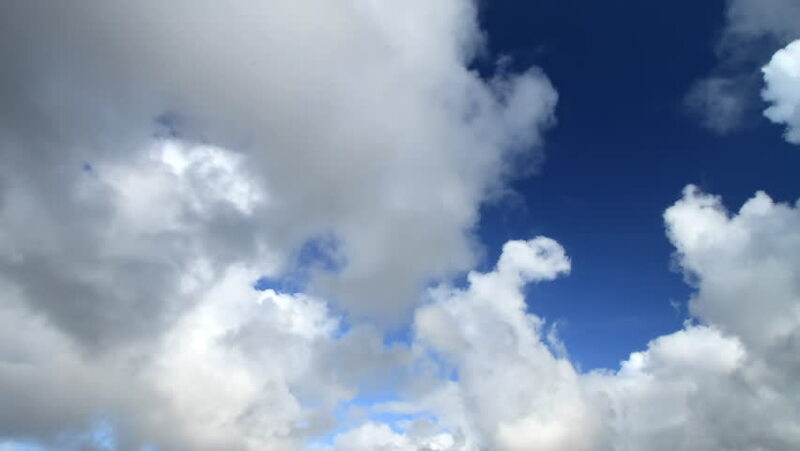 A cloudscape time lapse with dramatic large clouds set against a deep blue sky over the Atlantic Ocean in Kerry County, Ireland. This is still frame animation from high quality 35mm digital stills. hd00:20Time lapse shot of clouds going across the sky from right to left. hd00:25Blue skies in horizon, rolling time lapse clouds in panoramic summer, sunny day, beautiful colors clear weather. After rain relaxing nice season, fluffy, puffy fast moving. FHD.